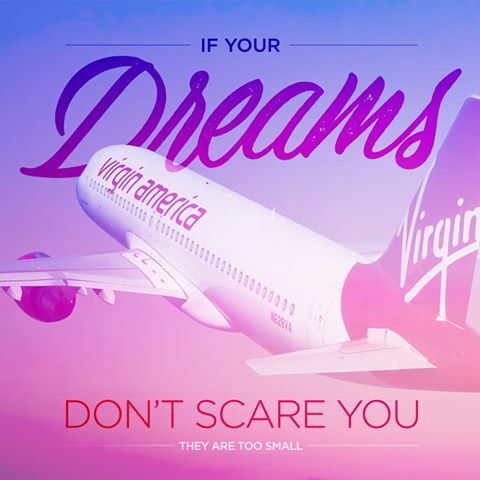 My journey to the finish line of the 2017 TCS NYC Marathon all begins with flying to JFK Airport on Virgin America November 2nd! 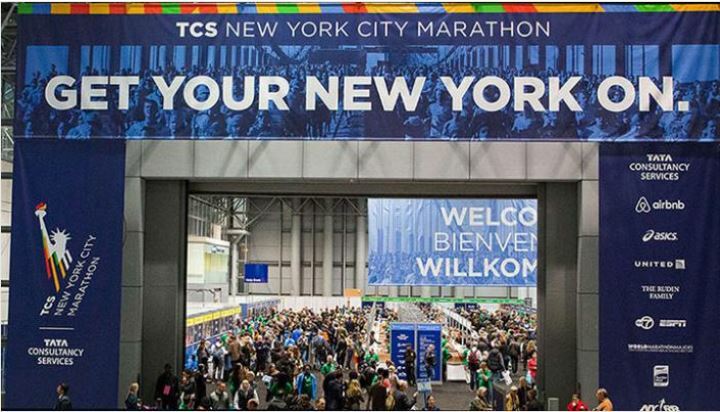 Yep…2 weeks from TODAY, I will be starting my NYC Marathon Trip! Once in NYC, I will be taking the Super Shuttle from JFK to my hotel. I went with the Super Shuttle because it was the cheapest option and it took me to my hotel and picked me up from my hotel. I initially budgeted around $140 to use Uber for this task. However, once I realized I could do the same for just over $40, I was sold. After getting checked in, I’ll head off to Junior’s Cheesecake for some dinner. 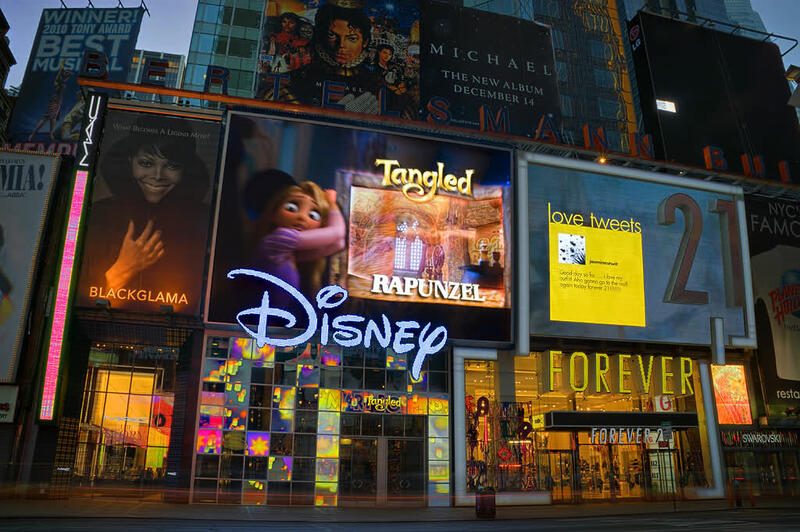 Then, I’ll head off to the Disney Store in Times Square. I mean, the place is open until 1am and I’m staying so close to this store, I must see it. However, that’s probably how day 1 will end. Being a travel day, I’m hopeful to get in bed at a decent time. Day 2 starts off with breakfast and a trip to the Top of the Rock. Y’all, it’s this view that made me decide to visit the Top of the Rock first thing in the morning on my first full day in the NYC. When I started planning this trip, I thought I’d do the Top of the Rock on Monday night to end my trip. 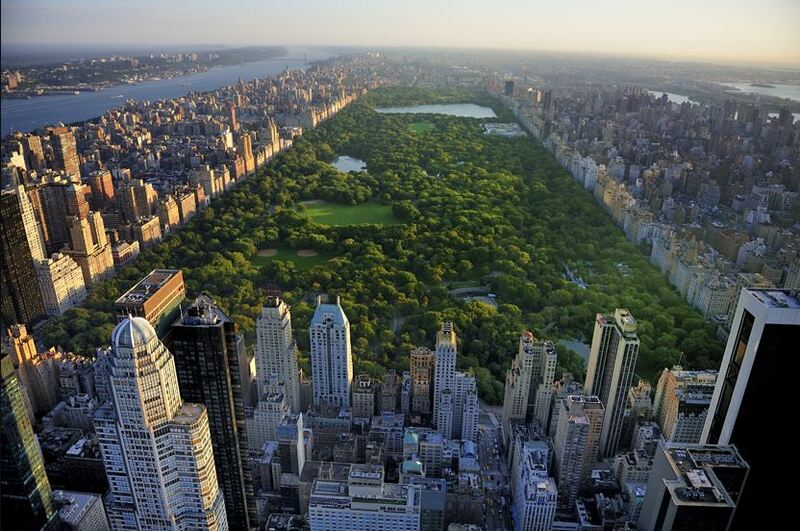 However, the view of Central Park won’t be a glorious at night. So, I opted to head here first thing. After Top of the Rock, I’ll be at the TCS NYC Marathon Health and Fitness Expo at 10am (when it opens). I’ve heard that the crowds aren’t too large early Friday morning. I’m counting on that. Plus, I’ve already ordered the merchandise I’ll be getting. 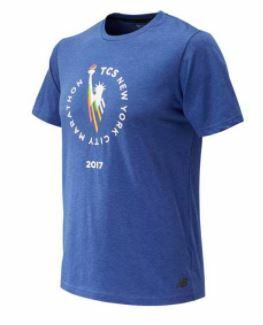 One of the advantages of running such a large race is that they have the official race gear available before the race. 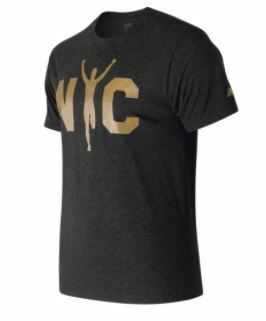 Check out all the merchandise here. I purchased this shirt because I loved the logo! There is a hoodie with the same logo. However, they didn’t have my size available. Plus, I figure that I’d wear this shirt more than the hoodie. I am from LA after all. 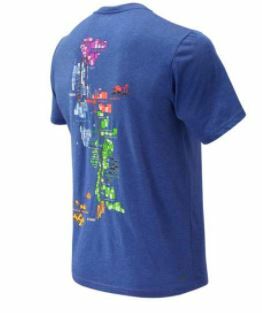 I also ordered this shirt. Why? Because it has the official logo for the race on the front…. and the race map on the back. 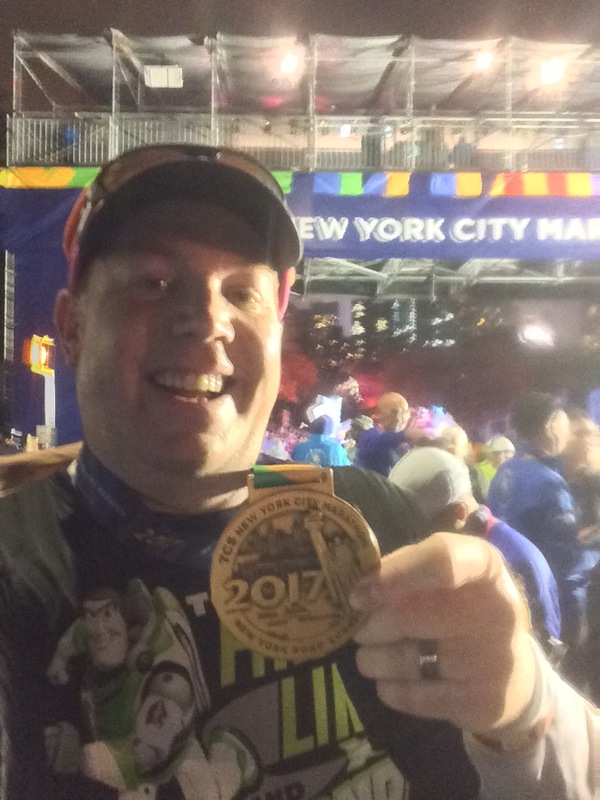 It reminded me of the runDisney “I Did It” shirts. So, I went with this. I really liked the shoes and am iffy on whether or not I will make a purchase. Since I was iffy, I’ll leave that to the marathon trip to decide. After the Expo, I’ll grab some lunch and head over to Lincoln Center for a tour. 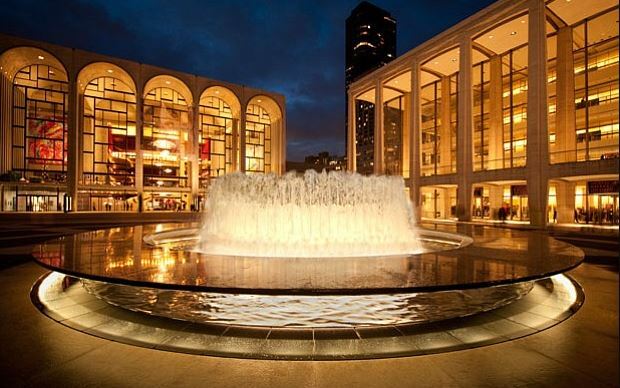 Lincoln Center houses the Metropolitan Opera, New York Philharmonic, and the New York City Ballet. This is the attraction I am most looking forward to (other than the Expo) on my first full day in the NYC. Lincoln Center is iconic and I can’t wait for this tour. 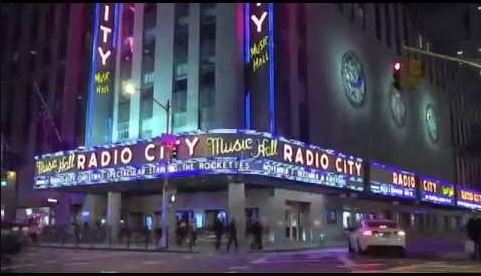 After the tour of Lincoln Center, I’m planning on heading over to the Radio City Music Hall Stage Door Tour. Initially, I was planning on starting the Friday with a tour of NBC Studios. However, I learned last weekend that this tour wasn’t part of the New York Pass that I’ve purchased. So, I’ve re-worked my plans and will most likely do this tour in place of the NBC Studios Tour. 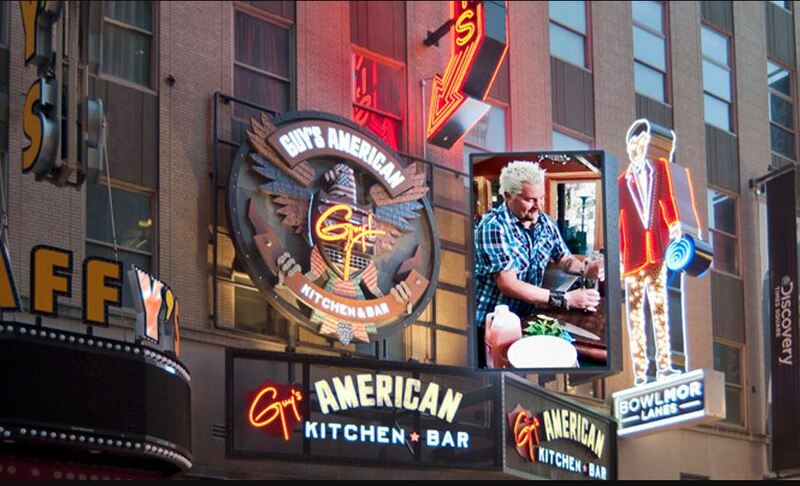 I have dinner reservations at Guy’s American Kitchen and Bar. Initially, I had thought of eating at Sardi’s because it’s an iconic spot to eat before a Broadway show. However, there was only really one entree on the menu that I would have eaten and it costs more than Guy’s. So, I went with the cheaper option. Plus, at Guy’s, there are more entree options that I’m open to eating. Both Sardi’s and Guy’s are close to the next, and last item on my day 2 plans…. Yep. I’m going to close out day 2 by watching Phantom of the Opera! Since purchasing my ticket, I’ve really stoked about this. The ticket was cheaper than the Lion King and I’m sitting in the Orchestra level. I love Phantom to begin with. It’s probably the Broadway show I’ve seen more times than any other. So why go to this show when I could see others I haven’t seen? Well, price was an issue. Also, the lure of seeing this show on Broadway. 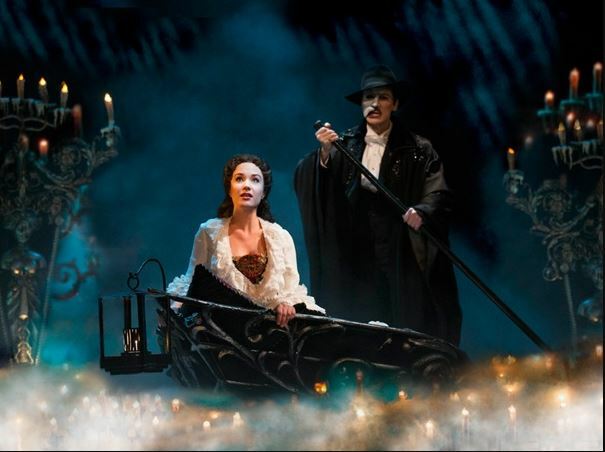 I first saw it in Los Angeles a long time ago with Michael Crawford as the Phantom. But, seeing this show actually on Broadway is pretty cool. After Phantom of the Opera, I’ll head a few blocks over to grab an end of the night snack at Carlos’s Bakery. If you’re a fan of the show “Cake Boss,” you know of this place. I don’t have the time to head to the original in New Jersey. So, this one near Times Square will do. As you can see, I’ve got quite a legendary trip to New York planned. This is just the beginning. The Last Long Run for the TCS NYC Marathon! Sounds like you have one memorable trip planned! Don’t forget to pass by the New York Road Runners run center! I think for runners it is a pretty cool spot. Although the different marathon week events might be more than enough to attend! Good luck on the marathon run! Thanks for the tip! I’ll have to find a way to stop by. Good luck to you! I’ve been following along as you detailed your journey to get into, train and now finally tackle this marathon. Wishing you the best! Thanks! I can’t wait to take to the streets of the NYC! Sounds like a very well-planned trip. 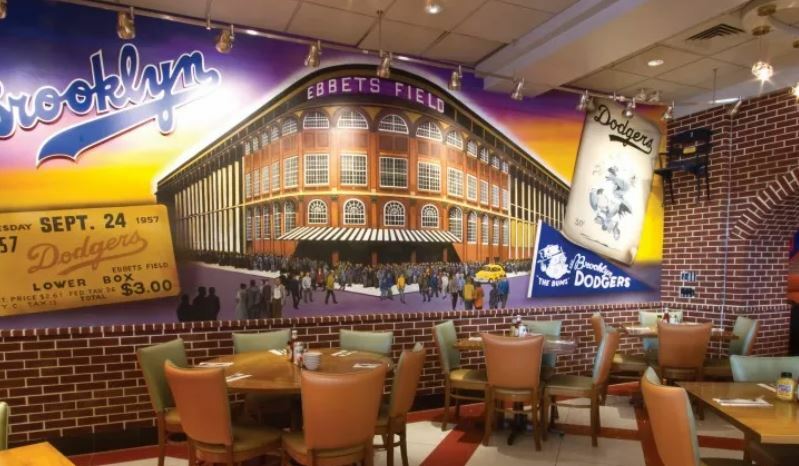 Are you going to the original Juniors in Brooklyn or the newer one in Time Square? Do not worry too much about the crowds for the Expo, it is a very well-oiled machine and you can get in and out relatively fast. Good luck!!! I hope that I can get my act together and run this thing too. Thanks! 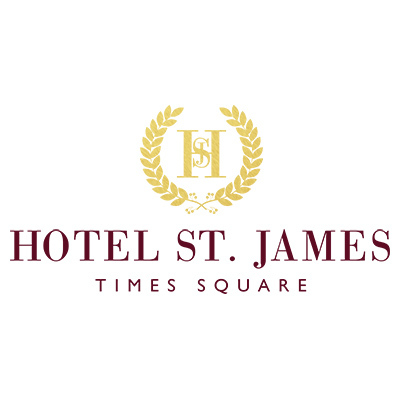 I will be going to the Juniors in Times Square. Good luck to you as you finish your preparations. Thanks for the tips! I went with the Super Shuttle because it was cheap, takes me directly to my hotel, picks me directly from my hotel, and I won’t have to mess around with dragging my luggage around. I am planning on heading to the finish area for “Marathon Monday” first thing in the morning. I’m hesitant about buying finisher gear before finishing the race. I have already purchased the official merch that I wanted online (and actually already have it!). So, I won’t have to spend too much time in the official merch area of the expo.